There are certain situations, when just the general dusting and wiping can not bring to the best possible results. 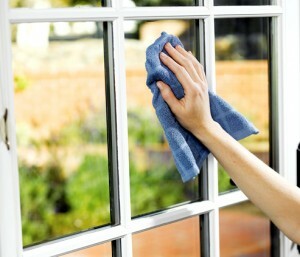 This is when a proper and deep cleaning should be applied in order to cope with the grime. Nowadays people are so busy that they hardly find some time to do a thorough house cleaning on their own. Even when the house is getting cleaned on regular bases, there is always some more work to be obtained. This is the time when some professional help might be required. Our well trained team of professional cleaners is on your disposal to make your whole property shine top to bottom is a way you haven’t even expected to be achieved. Our service includes deep-cleaning of all floors, doors, door frames, skirting boards, fixtures, windows and window sills. All kitchen appliances, cupboards and drawers deep-cleaned inside and out and all work surfaces scrubbed and sanitized. All kitchen and bathroom tiles and surfaces will be de-limed and de-scaled, and thoroughly sanitized. All surfaces and furniture will be vacuumed, dusted and polished where applicable. We will pay attention even on the smallest detail and will properly and deeply clean you property top to bottom with no exception. Our team will be prepared to cope even with the hardest cleaning challenge and provide you with the best possible result. If you would need also a professional steam cleaning of your carpets and upholstery, just give us a call and we will be able to organize it for you quickly, efficiently and on a competitive price. With us you will be completely sure that your home will be cleaned, sanitized and turned into a safe environment for you and your most beloved ones. We are available 7 days a week, with no extra charge for appointments arranged during the weekends. All you would need to do is to give us a call and let us do the rest!